The bucket bag had its moment but its time to pave way for the Saddle Bag, the season's 'It Bag'. A big 70's style making its entry into to this season's hottest bag trends, this is chic and minimal unlike the oversized tote or embellished clutch. Is a great mix of both formal and casual. Spacious enough so you can take it to work and works equally well for cocktails after. Also undeniably high on elegance. These are not your typical delicate or femine styles of bags but ones with a dash of masculinity. Fashioned after the bags that horseback riders use to carry their gear, these have been all over the runways with modern updates. Chloe's latest launch, the drew bag, a fabulous take at the saddle is already a hit with editors and bloggers. A style that should be in your fall-shopping list too. 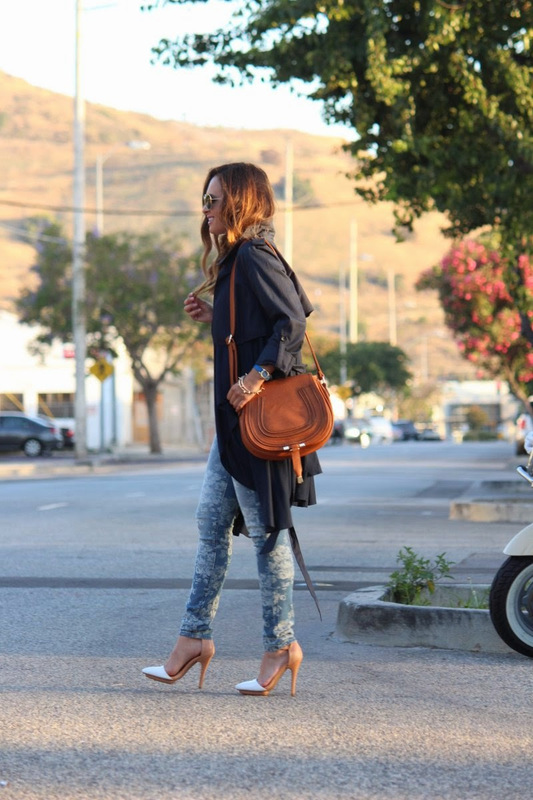 We have rounded up the best street style saddle bag looks for you that you can work in a summer-to-fall-look. Share your thoughts on which bag you like the most in comments below!